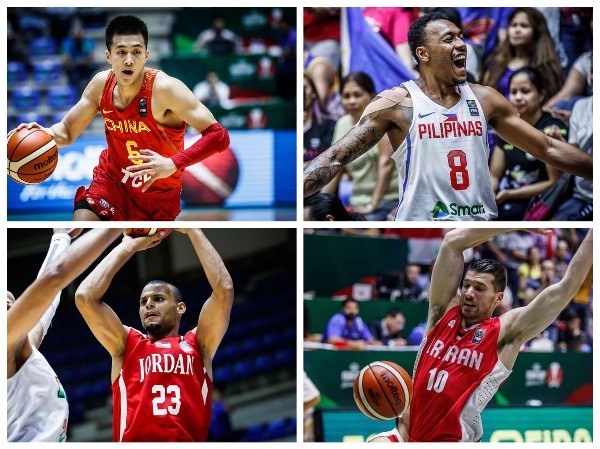 Day 4 at the 2017 FIBA Asia Cup saw the Philippines, Iran, and Jordan remain unbeaten while China bounced back against Qatar. Check out all the recaps and highlights from FIBA.com below. Ailun Guo had a dominant individual performance to lead China past Qatar 92-67 to open Friday's action. Guo knocked down five three-pointers on his way to 30 points, adding 4 rebounds and 4 assists, as China picked up their first win after an opening defeat to the Philippines. It was not until the second half the Chinese pulled away for good, momentarily falling behind midway in the second quarter before regrouping. Abdulrahman Saad and Ali Saeed Erfan were the high men for Qatar with 19 and 18 points, respectively. Qatar continue to look for their first win in Group A at the FIBA Asia Cup 2017. Philippines recovered from a slow first half to defeat Iraq 84-68 with a dominant third period. A 26-7 third quarter run, whilst limiting Kevin Galloway's effectiveness, saw Philippines get the cushion they need to stay perfect atop of Group B at 2-0. Christian Karl Standhardinger had 16 points and 7 rebounds for the Philippines, whilst Terrence Romeo added 17 points and 4 assists. Galloway did his best efforts to keep Iraq in it, finishing with 23 points (15 in the first half), 14 rebounds, 6 assists, 2 steals and 2 blocks, but it would not be enough. Jordan improved to 2-0 with a 61-54 victory over a much-improved India side. After a mauling at the hands of Iran in their opener, India bounced back and managed to hang with Jordan the entirety of the game, though ultimately were plagued by turnovers, as Jordan registered 12 steals on the game. Alawadi had 22 on 9 of 17 shooting and Ahmad Alhamarsheh had 13 rebounds to go with his 8 points for Jordan. India were led by 17 points from Amjyot Singh Gill and Aravind Annadurai's 6-point, 10-rebound, 2-block effort. Iran registered 29 assists on their way to a 87-63 victory over Syria to stay undefeated in Group A.
Hamed Hadadi continued to make his case for one of the best passing big men in the game, finishing one assist shy of a triple double with 12 points, 13 rebounds and 9 assists. Syria struck first just 15 seconds into the game, but Mohammad Jamshidijafarabadi responded immediately with a three to give Iran a lead they would not relinquish the rest of the way, pulling away in the second period to extend their lead to 20 by halftime. Jamshidijafarabadi provided additional support on the ball sharing front, adding 9 assists of his own to go with 16 points, whilst Behnam Yakhchali led the scoring with 25 points on 9 of 13 shooting. Micheal Madanly led Syria, who dropped to 0-2, with 22 points.